The top Democrat on the Senate intelligence committee said he was “deeply disappointed” by a Twitter executive's presentation to the panel on Thursday about the company’s response to Russian interference in last year’s presidential election. “Their response was frankly inadequate on almost every level,” said Sen. Mark Warner, D-Va., the committee’s vice chairman. Twitter's vice president for public policy, Colin Crowell, met behind closed-doors Thursday with staff members from the intelligence committees from both the Senate and the House, the company said in a blog post. "This is an ongoing process," the company said, "and we will continue to collaborate with investigators." Crowell told Congress that Twitter had shut down 201 accounts linked to the same Russian operatives who used Facebook to spread misinformation during the election. In addition, three accounts from the Russian news outlet RT, which has been linked to the Kremlin, spent $274,100 on Twitter advertisements last year, including promoting tweets "that definitely or potentially targeted the U.S. market," the company's blog post said. "This targeting primarily included RT news stories." Despite Warner's displeasure, the post was Twitter's most thorough response yet to questions surrounding the Russian probe and measures the company is taking to help ensure the integrity of future elections. 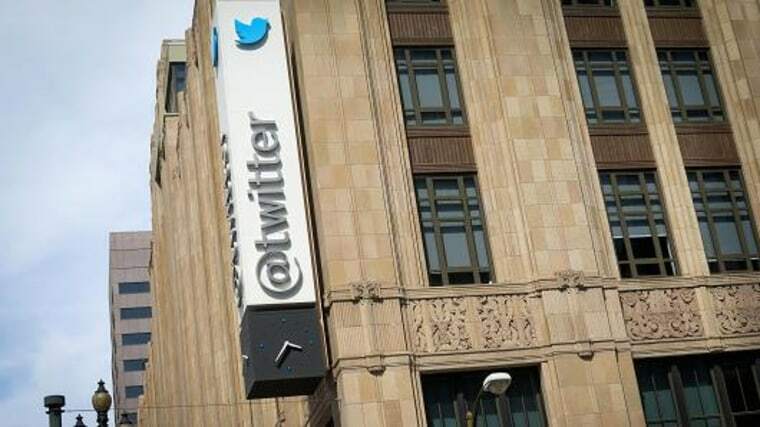 Twitter pledged more transparency on what it is doing to take down bots and manipulative networks, saying, however, that there would be some components it could not publicly share. Twitter was able to link the accounts it removed to Russian entities through an internal review of roughly 450 accounts shared by Facebook, the blog post said. Those groups had 22 corresponding Twitter accounts, while 179 more accounts were linked to them. "Neither the original accounts shared by Facebook, nor the additional related accounts we identified, were registered as advertisers on Twitter," the company said. "However, we continue to investigate these issues, and will take action on anything that violates our Terms of Service." Twitter's response comes as Congress is placing more scrutiny on technology companies to answer questions in the Russian meddling probe. Perhaps no other company is facing more intense questioning than Facebook. The social network is in the process of handing over 3,000 Russian-linked ads, including payment data and details on how Russian entities targeted voters through Facebook's system. A Facebook representative told NBC News on Wednesday that the company is in the process of providing information to Special Counsel Robert Mueller's office. The House and Senate intelligence committees are also set to receive the advertisements as part of their ongoing probe into Russian interference in the election and into out how social media was used as a weapon. On November 1, representatives from Facebook and Twitter are scheduled testify at an open hearing before Congress regarding the Russian investigation. It was unclear which executives would testify. "The question is, we’ve contacted the most senior officials" of the two social-media companies and Google, Warner told reporters Wednesday. "But we’ll be in conversations about who’s going to have the most relevant information."